Instructor User Guide Site InfoHow do I edit the site information? Zoom: Click Edit Site Information. 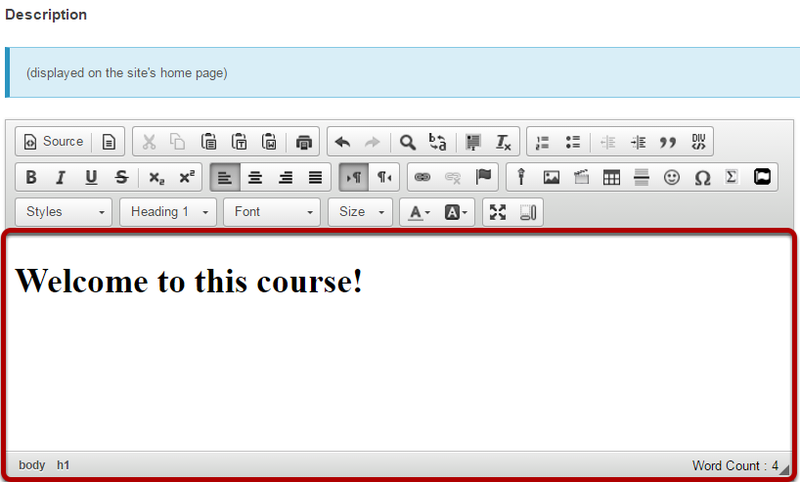 Next: How do I choose which tools will be available in my course?